Live Salsa at Salseros Dance Studio! 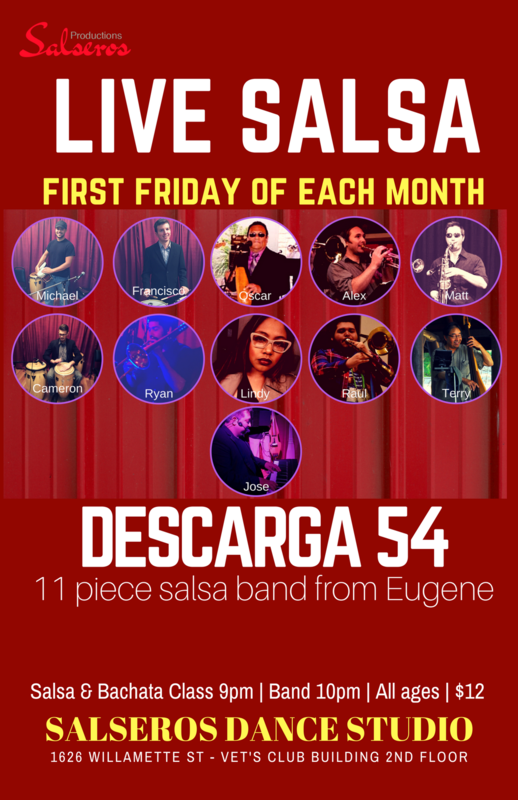 New 11 piece band from Eugene, Descarga 54, will be playing! 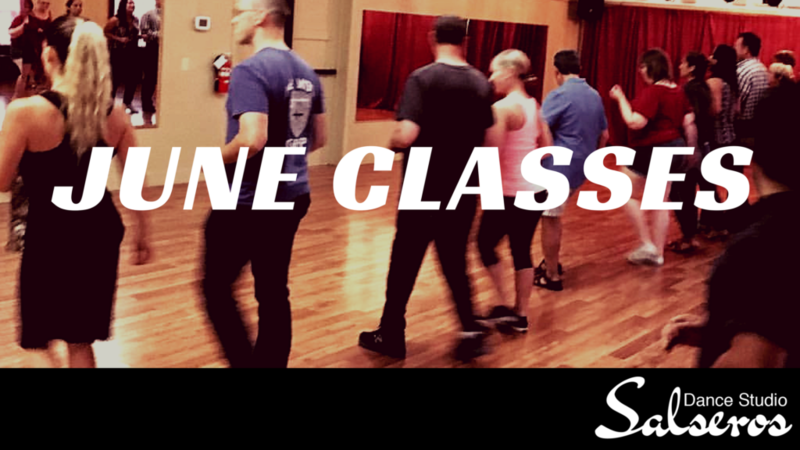 Salsa & Bachata Class for Beginners taught by Salseros Dance Company Instructor, Leah Velez. Class will begin at 9pm. The band will start at 10pm. All Ages are welcome! $12 cover. Cost for all 4 week sessions is $45 paid in advance online; or $55 at the door. No drop-ins. 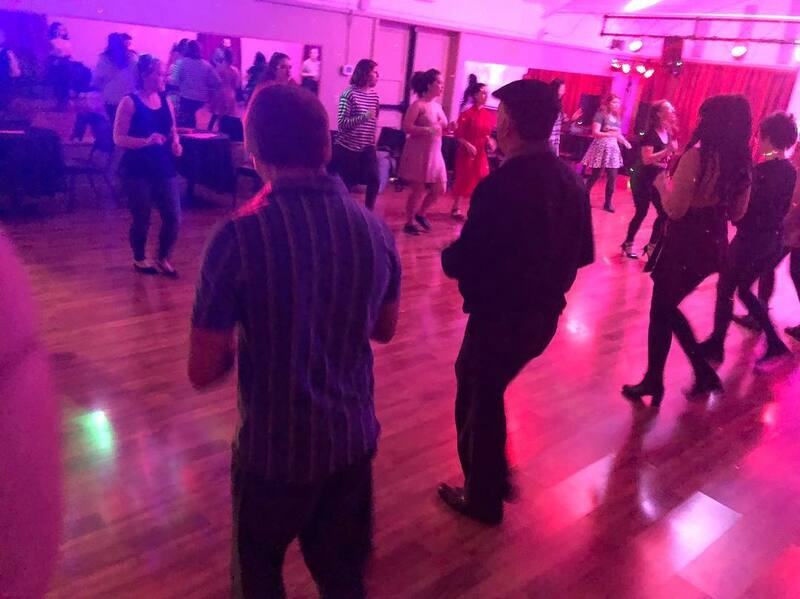 All Classes are held at The Salseros Dance Studio at the Vet’s Club Building upstairs, 1626 Willamette St. Eugene. This new program is for people who love salsa and want to be part of a group of people to practice and grow with. As we progress through this twelve week program, we will focus on core moves and patterns and comfortability leading in and out of many different connection points; we will also work on developing technique regarding cuban motion and movement, lead follow connection, and the slot. Even more exciting? 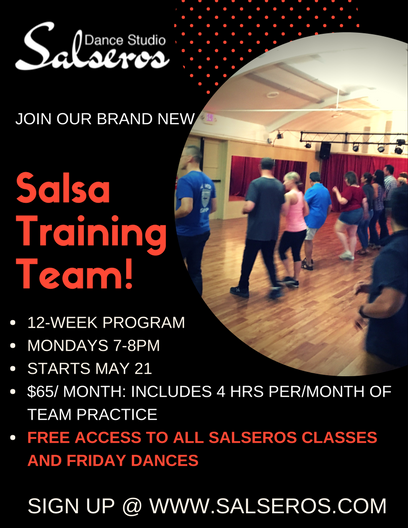 Membership to this team will get you free access to all Salseros Dance Studio classes, AND Friday Salsa Nights! Open to all levels, No Partner is necessary.